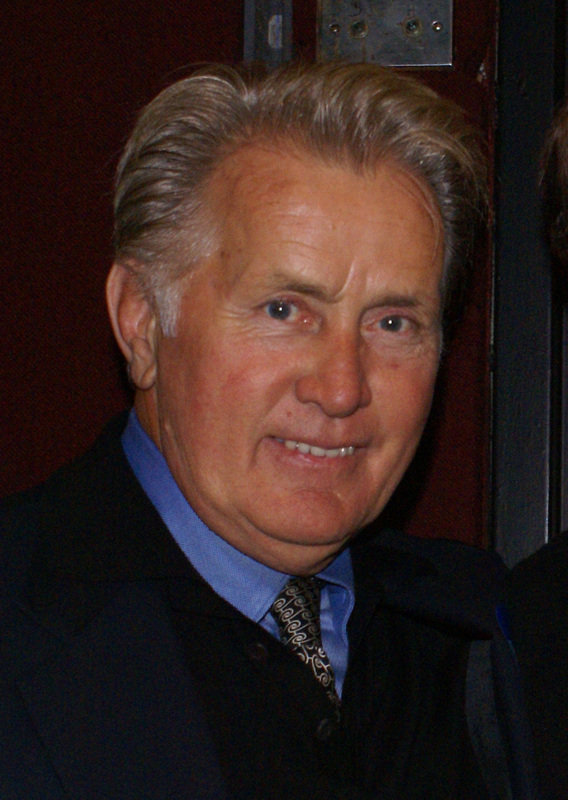 DAYTON, Ohio, May 5, 2015 - It's a story Martin Sheen tells frequently. After he graduated from high school, his father wanted him to go to the University of Dayton. But determined to start his acting career, he intentionally failed the school's entrance exam to convince his father otherwise. Nearly 60 years later, the celebrated actor became a graduate of the University of Dayton May 3, "deeply moved" by the ceremony honoring him for a lifetime of humanitarian action that turned out to be the path to his father's dream. The University awarded an honorary doctor of humane letters degree for his commitment to peace, social justice and human rights, exemplifying the Catholic, Marianist university's mission. He accepted it as Ramon Estevez, the name he kept close as Martin Sheen's star rose, saying the ceremony, in combination with a family reunion a day earlier, resurfaced his father Francisco in a deeply personal way, and reminded him of the connection between the University and his family. Many members of his extended family attended, including sons Ramon and Emilio, grandchildren, four siblings and a host of other extended family members. "I was not prepared for the deep emotional crack it made in me," he said in after the event. "This was about my dad. I had to come here, I had to celebrate him. I had to recognize him." When he accepted a long-standing invitation from the University of Dayton to receive the honor, Sheen said he wasn't focused on the event, but memories and emotions stirred by his family's reunion put him in a different frame of mind. "I began to realize that this was a celebration and I was very much a part of it, this University was so important to our lives. I learned last night I was practically born on K Street (now part of campus)," he said. His brothers Frank and Mike graduated from the University and his sister Carmen attended for two years before she left to join his growing family in New York. "So this community is alive and deeply embedded in my being. And I had to celebrate that and I had not realized how really moving this would be and how important it would be. It was quite a celebration. "I have been swept along by this extraordinary truth: that we all come from a place and we all want to stand for something." In his speech, Sheen challenged the 1,441 graduates not only to stand for something but to act, to go out and see "the absolute need for justice, healing and mercy that unites us" and to "help heal our broken world wherever we may find it. "We are all responsible for each other and the world. No one has ever made a contribution without personal suffering, self-sacrifice and sometimes even death." Sheen grew up just a few blocks from the University and graduated from Chaminade High School, both founded by the Society of Mary, a Roman Catholic teaching order. He has said the Marianist teachings of the priests and brothers helped shape his commitment to social justice, service and peace. A leader in human rights education, the University of Dayton established the nation's first undergraduate human rights studies program. More than 100 students have graduated from the program and pursued careers as human rights advocates and academics or humanitarian professionals in legal, governmental and nonprofit sectors. "Happiness Is A Goal Of Life"